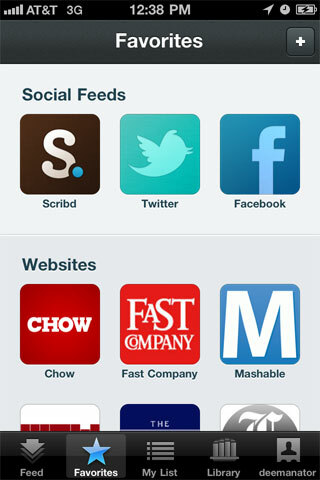 Scribd, the San Francisco-based document sharing company, has launched a new iPhone (s AAPL) and web application called Float aimed at putting all of a user’s reading materials — from books, to blog posts, to newspaper and magazine articles — in one integrated format. But will the app be too ambitious for its own good? Float is aimed at recreating users’ personal libraries in an entirely digital format. The app collates content from more than 150 sources in the publishing industry, including the Associated Press, Fortune, TIME, and People Magazine. Float can also be used to read books and some blog posts; it picks out tweets and Facebook messages that include links to reading materials and incorporates them into the Float stream. Float’s real strength lies in its super-slick user interface. It organizes the text from all these disparate sources into one coherent format on which users can zoom in or out, or overlay settings to adjust for direct sunlight or eye strain. 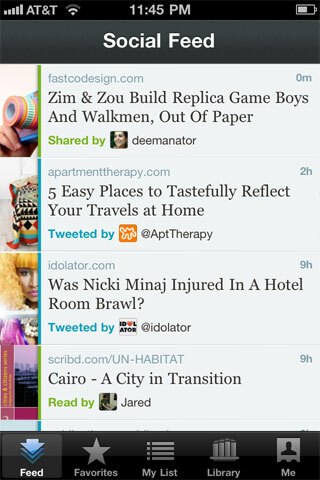 The app also allows users to archive and organize what they’ve read and save articles they plan to read for the future. But the app is also inherently limited, at least in its current form. Since Float does not utilize standards such as Atom or RSS, Scribd’s engineering team has been tasked with incorporating each of the different content providers into Float’s unique interface. That is a fine strategy for a launch with 150 hand-picked publishers, but can Scribd realistically scale the app to include all the long tail content that makes the Internet such a great tool for discovery? “Our goal is to have every blog and every news service included in Float,” Scribd CTO Jared Freidman told me in a pre-launch interview. But can the company really do that with just 50 full-time employees? “We have very smart engineers,” Freidman said. That may be so, but there is only so much that a team of that size can do, especially when it comes to the kind of customized integration it seems that Float has built itself on thus far. Overall, Float seems genuinely pleasing to use, and imparts an easy fluidity between different types of media in a way that had not previously been perfected on mobile devices. As Freidman put it, “It’s really quite an ambitious idea, and I don’t think anyone has tried to combine so much into one single ecosystem.” That level of ambition could ultimately wind up being Float’s downfall — or the key to its success. Same purpose as http://jetsli.de but jetslide also grabs publically interesting material.